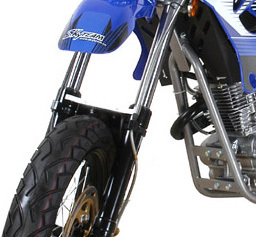 Shock absorbers consists of springs and/or sealed tubes which determines posture and a cushioning buffer action and a damper which suppresses vibration when riding a motorcycle. 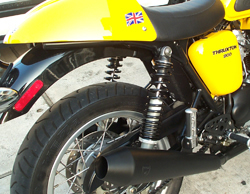 On motorcycles, shock absorbers are separated into the categories of the “front fork” and “rear cushion”. Maintains posture of the vehicle. It eases the thrust of shocks on rough roads. The rear cushion prevents changes in the contact forces between the rear tires and the road surface, conveys the driving power from the rear tire smoothly to the surface of the road, and creates conditions that conduce excellent traction as it maintains the power of the vehicle and damping capacity. Constructed with double tubes, in side is an oil chamber and outside is an air chamber . 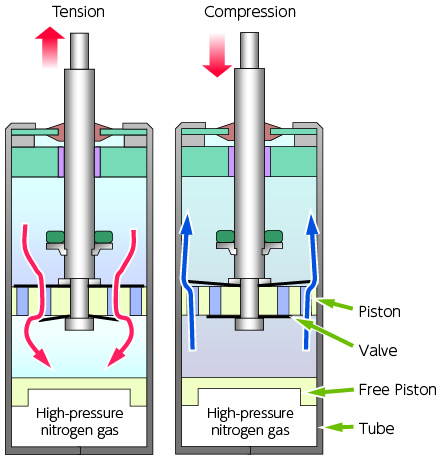 Have types with low pressurization to obtain further stable damping. Applied from small commuters to large-sized cruisers. Demonstrate high performance due to construction of separate oil and air chambers. In some smaller vehicles, partitions are not applied ( emulsion type ). Applied to wide range of models. The inner wall of the tube serves as the cylinder. 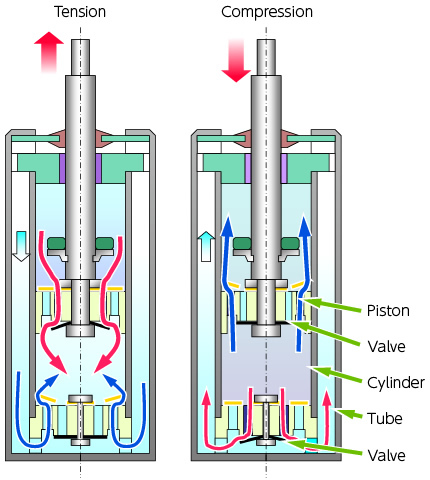 Excellent responsiveness makes it possible to enlarge the size of the piston valve. 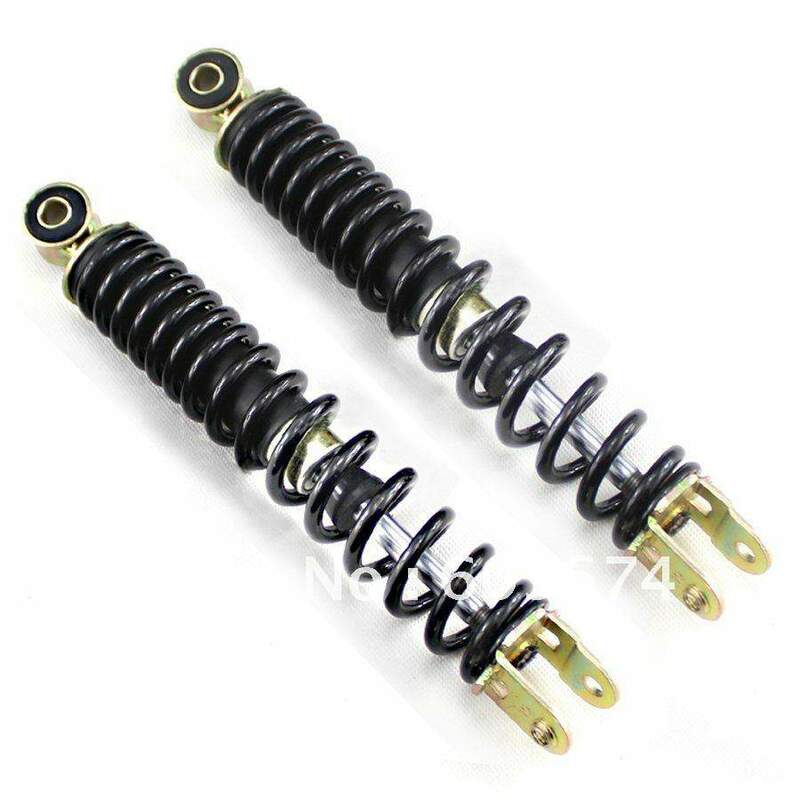 Numerous types of shock absorbers with wide ranging setting possibilities. 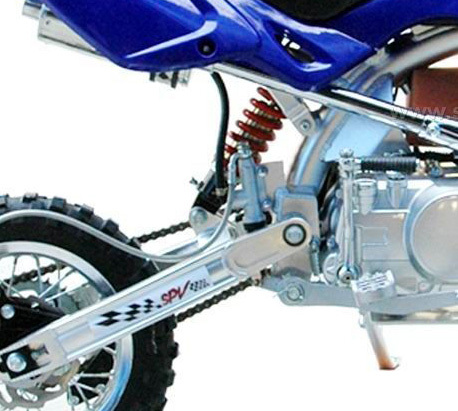 Each manufacturer has its own approach towards this matter and different bikes demand different shock systems (eg. the requiremetns of a racing bike versus a small, commuter of a large heavy tourer.